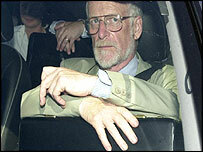 An MP investigating the death of Dr David Kelly says he is convinced the weapons scientist did not kill himself. Norman Baker tells BBC Two's The Conspiracy Files he has reached the conclusion Dr Kelly's life was "deliberately taken by others". Mr Baker has also obtained letters suggesting the coroner had doubts about the 2003 Hutton inquiry's ability to establish the cause of death. Hutton reached a verdict of suicide but a public inquest was never completed. 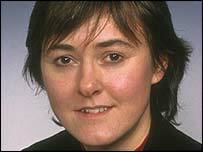 Dr Kelly, whose body was found in July 2003, had been under intense pressure after being named as the suspected source of a BBC report claiming the government "sexed up" a dossier on the threat posed by Iraq. Coroner Nicholas Gardiner opened an inquest into his death in Oxford just a few days after his body was found on Harrowdown Hill. But he was ordered to adjourn it by the Lord Chancellor, Lord Falconer, as the Hutton inquiry would take over, and it was not resumed. Lord Falconer said he wanted to minimise the distress caused to the Kelly family. The official account given by the Hutton inquiry was that Dr Kelly committed suicide by cutting his left wrist, and taking an overdose of the painkiller Co-Proxamol. In his report, Lord Hutton said: "There was no involvement by a third person in Dr Kelly's death." Mr Baker, who has spent a year investigating the case, believes there is enough evidence to suggest that the scientist did not kill himself. The Liberal Democrat MP said toxicology reports suggested there was not enough painkiller in Dr Kelly's system to kill him, and the method he had apparently chosen to commit suicide was not a recognised or effective one. "I'm satisfied it was not suicide. And after that you're left with the conclusion that his life was deliberately taken by others," he tells The Conspiracy Files. He tells the programme it has been suggested to him that the weapons scientist was assassinated. Speaking last week on BBC Radio 5 Live, Mr Baker said he was not ready to reveal all the evidence he has unearthed, but would consider passing a file to the police in due course. 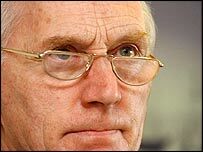 Mr Baker has obtained letters between Mr Gardiner and the Lord Chancellor's office from 2003, suggesting the coroner was not happy with the Hutton inquiry's ability to establish the cause of death. The letters were given to the MP by Constitutional Affairs minister Harriet Harman and have not been revealed publicly before. 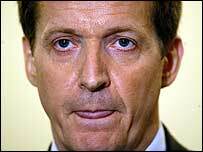 On 6 August 2003 Mr Gardiner wrote to the Lord Chancellor expressing concern about Hutton's lack of legal powers compared with an inquest. "As you will know, a coroner has power to compel the attendance of witnesses. 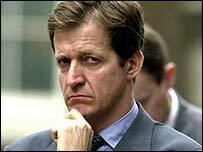 There are no such powers attached to a public inquiry," Mr Gardiner wrote. 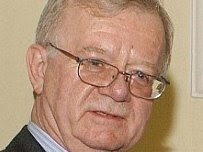 The Oxfordshire coroner also asked to be allowed to continue with the inquest because "the preliminary cause of death given at the opening of the inquest no longer represents the final view of the pathologist, and evidence from him would need to be given to correct and update the evidence already received". 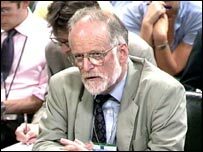 Mr Gardiner met officials from the Department of Constitutional Affairs on 11 August 2003 "to discuss the mechanics of admitting evidence from the pathologist and analyst". The Lord Chancellor then accepted the coroner's need to have one further hearing. 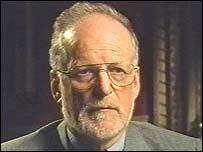 In a letter to Mr Gardiner, dated 12 August 2003, Sarah Albon, private secretary to the Lord Chancellor, said that "the cause of death of Dr David Kelly is likely to be adequately investigated by the judicial inquiry conducted by Lord Hutton". 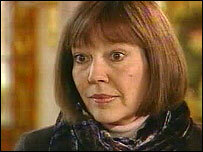 It said Lord Falconer accepted Mr Gardiner may want to take fresh evidence from the pathologist and analyst. But he was "most anxious to avoid any unnecessary distress to the family, and has asked that you keep the proceedings as short as possible and, so far as the Coroner's Rules allow, take the evidence in writing". The coroner did just that in a hearing on 14 August 2003. On 18 August 2003 a death certificate was registered setting out the causes of death. Yet the Hutton inquiry had only just started taking evidence and its report was published a full five months later. 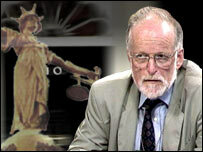 In March 2004, a final hearing was held in Oxford at which Mr Gardiner said he was satisfied there were "no exceptional reasons," including concerns about the Hutton inquiry's powers, for the inquest to be resumed. The Conspiracy Files explores a number of alternatives as to how Dr Kelly might have met his end. 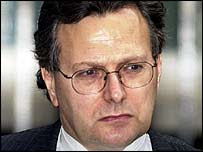 A former colleague of the weapons inspector, former UN weapons inspector Richard Spertzel, tells the programme he believes the scientist was murdered by the Iraqis. 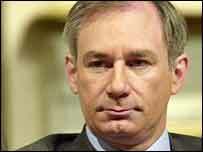 Mr Spertzel, who was America's most senior biological weapons inspector and who worked alongside Dr Kelly for many years in Iraq, believes the Iraqi regime may have pursued a vendetta against Dr Kelly. "I believe that David was probably a victim of Iraqi Intelligence Service because of long standing enmity of Iraq towards David," he says. "A number of us were on an Iraqi hit list. I was number three, and my understanding, David was only a couple behind that. "And none of the people on that hit list were welcome in Iraq. 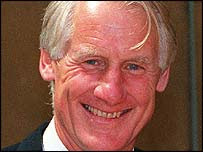 Immediately after David's death, a number of the other inspectors and I exchanged emails saying, 'Be careful.' 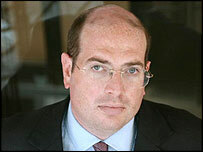 "
The Conspiracy Files was on Sunday, 25 February, at 2100 GMT on BBC Two. As the disastrous conflict in Iraq has rightly been referred to as Blair's war, will the Foreign Secretary inform the House of Commons of what is so important about the Prime Minister's engagements this afternoon that he cannot be present in the House to take part in the first debate on Iraq in Government time since the war began? Why should we believe him now that he says that he will debate it at some point in the future? Why was he so anxious to talk us into this disastrous war, but so reluctant to explain how we will get out of it? My right hon. Friend mentioned that the Prime Minister would come to the House at the end of Operation Sinbad or, as she said, when a turning point has been reached. How will we judge when that turning point has been reached? I thank the Foreign Secretary for giving way. She mentioned the build-up of American troops. Is she aware of the comments today of the ingoing commander, Lieutenant General Petraeus, who said he could guarantee no success, even with the extra so-called surge? This is a debate for which many in the House have been calling for some time. British troops have been in action in Iraq for nearly four years, and it is high time that the House of Commons took stock of what has happened. I say to Ministers that there is also a strong case for a similar debate on Afghanistan in the near future. ...We know that a great deal is at stake. Given the importance of the issue and the strength of feeling in the House about it, I have no hesitation in saying that the Prime Minister should attend this debate. It is not acceptable to Conservative Members, and quietly unacceptable to many Labour Members—perhaps not so quietly, as they are nodding their heads—who worry about such matters, that the Prime Minister, having been so keen to lead such debates in the run-up to the war when things were going fine, now prefers, with the whole issue in the balance and 130 British lives lost in Iraq, to skulk out of the Chamber to attend to something else. "The Prime Minister never attends these debates, whatever the subject." We now have a Prime Minister who never attends debates, "whatever the subject". The Foreign Secretary indicated that there was hope for a turning point soon, and that the Prime Minister would then make a statement. Where would the House have been in the second world war if Winston Churchill had only come along when a turning point was in prospect or had been reached? It is sad that the Prime Minister prefers the mentality of the bunker to the open thinking of debate. The Conservative party was sold this war on a false premise. We were lied to by the Government. I keep meeting Conservative Members who tell me that if they knew then what they know now, they would have voted against this war. Will my right hon. Friend say that we will not be dragged down into the mire by this discredited Government? The more we attack this war and our presence in Iraq, the more we speak for the British people. The right hon. Gentleman has probably noticed that the leader of every mainland party is in the Chamber today except one, the Prime Minister. 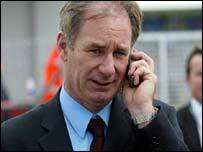 Does he agree that the Prime Minister should be in the House today, helping us with our inquiries on Iraq? Of course, without an inquiry we do not know what advice was given by the British Government at the time. That is one of the things that an inquiry should be establishing, and if that were the case Ministers would have much less to fear from an inquiry than they might otherwise. I am confused by what the hon. Gentleman just said. When the Prime Minister used to speak on this subject in the House he made it explicit that Saddam Hussein could stay in power, and that he was happy to sanction that, if Saddam complied with the United Nations resolution. So removing Saddam Hussein was not the reason why Britain went to war, and we should not be using it retrospectively to make a case for a failed Government policy. ...This is an important debate, far too long delayed, for the House, the public and—perhaps most importantly—for our armed forces. I mean the Foreign Secretary no disrespect when I say that the Prime Minister should have opened the debate on a substantive motion in which he invited the House to pass judgment on the policies of his Government. 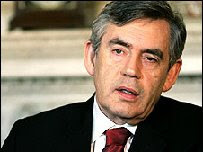 It is wrong to say that previous Prime Ministers have avoided foreign affairs debates. In September 1990, Margaret Thatcher led the foreign affairs debate following the invasion of Kuwait by Saddam Hussein and, towards the end of that period, in February, John Major, who by then was Prime Minister, led two debates held because of the issues raised by the military action that was taking place and the consequences of it for British interests. With almost chilling regularity, every Wednesday we now find ourselves having to acknowledge fatalities in Iraq. I do not know how the Prime Minister feels, or the right hon. Member for Witney (Mr. Cameron), but it is the bleakest moment of the week for me. But that is nothing to the blight on the lives of the families and friends of those who have been killed. They are brave men and women who do their duty in Iraq, and I yield to no one in my admiration for them for their professionalism and their courage. Today they deserved to hear all the party leaders. The Prime Minister owed that to them. The origins of our involvement in Iraq are well known. 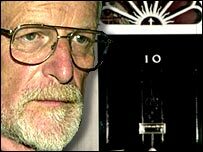 I remain of the belief that I had on 18 March 2003 when I went into the No Lobby to vote against the Government's proposals. That was not a party political issue in the sense that only one party did that. Conservative and Labour Members joined us as did, in particular, Robin Cook, whose wisdom has been much missed on this issue since his untimely death. ...We may all be able to agree, no matter how we voted on 18 March 2003, that the United Kingdom will never do anything similar again. ...As we learned subsequently from various inquiries, the provenance of that document can hardly be regarded as impeccable. If the hon. Gentleman reads the whole of my speech, he will see that I pointed out that international law is not based on UN resolutions alone and that one also has to take account of customary international law. Customary international law provides clearly that armed force is not legitimate unless it is used as a last resort, when all other diplomatic and political considerations have been exhausted. Among other reasons that is why, when Dr. Blix and Dr. al-Baradei were still engaged in their investigations and were saying that they were receiving sufficient co-operation to justify continuing, the decision to take military action against Iraq was fundamentally illegal. ...This is such a serious debate that it should really be led by the Prime Minister, who could have laid out his personal view as well as that of the Government on how the situation should have been engineered. It is a matter of regret that he has chosen to be absent from this important debate. By absenting himself from this debate, the Prime Minister, one of the architects of the Iraq catastrophe, has indicated yet again his lack of respect for the House of Commons and his own Back Benchers. The consequences of the invasion of Iraq were predictable and predicted, but I am not one of those people who believe that, having got into this appalling situation, we can just cut and run, as the phrase goes. Indeed, one of the reasons why I warned against the invasion before 18 March 2003, why I voted against the war, and why I have frequently intervened to criticise the conduct of the war, is that I have always recognised that it is much easier to invade a country than to get out of it subsequently. All history indicates that. It is nearly four years since the great debate of 18 March 2003. Many hon. Members of all parties have entered the House since that date, and they may not be aware of all the arguments put forward then, but we must not forget that that debate had many precursors. The question of Iraq was discussed ad nauseam—certainly during the 1990s, and some would argue as far back as the 1980s. The problem of Iraq has a long genesis. ...We should recall that the premise on which we went to war was that there was a clear and imminent threat from weapons of mass destruction. There were no weapons of mass destruction; there was no clear and imminent threat. We should remember, too, what the threat consisted of—capability plus intent—but there was no capability and no obvious intent on the part of Saddam. We can argue as much as we like about what a terrible man he was; of course he was, but he was no more terrible than many other authoritarian rulers on the planet. We were taken into war on a false prospectus. There were no weapons of mass destruction and no threat from them or anything else. At the time, much was made of UN Security Council resolution 1441, which we debated for a long time in this place. However, subsequent events—leaks, memos, memoirs—all reinforced the view held by many of us at the time that the resolution was just a pretext and that the decision had already been taken and the die was cast. It all goes back to 1998 and the letter to Bill Clinton from the Project for the New American Century. Studying the "Who's Who" of the neo-con world who signed that letter helps us to understand why we ended up in the position we are in. Many people welcome today's debate in Government time, but it is unfortunate that it is on an Adjournment motion, and that there is no substantive motion to be discussed. That disappoints many of us but, as has been said, it is even more disappointing that the Prime Minister decided to absent himself from today's proceedings. That same Prime Minister said on 25 October that he would debate Iraq any time, anywhere—yet today he found other things to do, rather than come to the Chamber to explain what policy, if any, the Government are following. That is disappointing, but if we consider the history of the build-up to the war, we should not be all that surprised. As I said, on 25 October the Prime Minister said that he would debate the subject "at any time", so we hoped that he would make the effort to come to the Chamber today. Earlier this week, his spokesman said that the Prime Minister never comes to Adjournment debates, and that is probably why the Government tabled an Adjournment motion. That is not very clever, and it is rather transparent. I should like to speak about the background to the conflict. 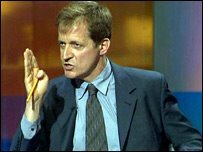 In September 2002 we were treated to the dossier, and I remember saying at the time that it was probably the least persuasive document in recent political history. It was full of suppositions and ifs and buts, it did not inform the debate, and it utterly failed to provide any justification for military action, let alone imminent military action. On reflection, perhaps the dossier did not have to do that, as we have learned that the Prime Minister and the President had met at the President's ranch and decided on military action, come what may, within a few days of that debate. "Is not war now inevitable?" Six months before, he had agreed with President Bush that war was indeed inevitable. At the time that statement was made, 120,000 American troops were massed on the Iraqi border, ready to go in. "I think history is going to look back and see a lot of ways we could have done things better. No question about it." ...Last night, President Bush gave the State of the Union address. He was not the gung-ho President Bush of 2002, whose axis of evil speech promised war all over the world. He was a President desperately trying to find some way forward. He was offered a way out by the Iraq Study Group, which he seemed to reject, and has now gone for the bizarre option of putting in more troops to try to control the situation. ...For the moment, the trial of Tony Blair merely takes place on Channel 4 television. 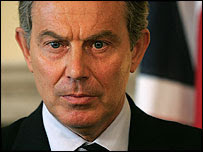 The day will come, and it is coming soon, when a real trial of Tony Blair will take place in a real court.